There are currently 3,263 users on this website. Looks like I was pretty close to stating an accurate retail value, at least in this case. Note that this item had some faults. So this is a facsimile of the RS37? Maybe, or maybe you have the causation backwards and the high bidder and underbidder based their bid on your catalog value? Wish I could tell you that I have that level of confidence in my personality, but I really don't. 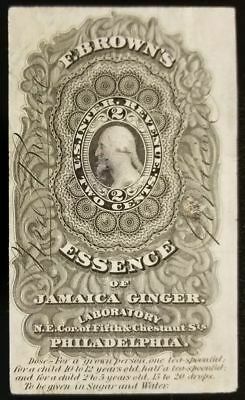 Perhaps just a bit high for the condition, but a scarce label to be sure. Yes. It does not say U.S. INTER. REVENUE. That makes it a facsimile. It also does not have a face value. Cool. Will have to keep an eye out for this. Facsimiles generally fall into two categories. There are the easily found companies which issued large quantities, and the hard to find companies that had smaller to much smaller quantities. Several of these difficult items are also larger sizes that were not easily removed from packages. There are also reproductions that were printed in almanacs, which are not the actual facsimile; care should be taken about them since they have little real value. They will usually have printed words on the reverse. 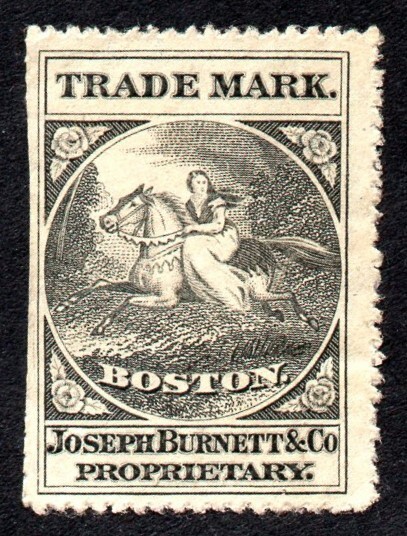 Here's another example of the revenue stamp and the facsimile. 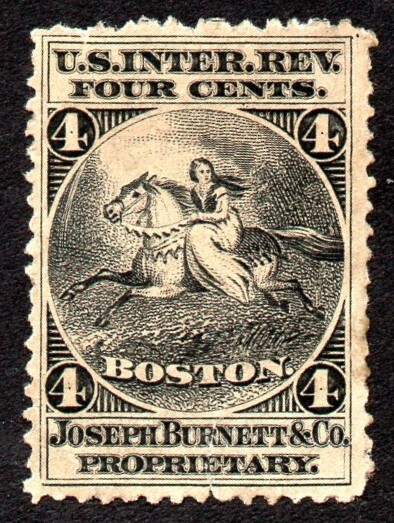 Note the values in the revenue stamp and the label at top are changed, but the remainder of the design stays constant. It took 0.65 seconds to lick this stamp.